There’s a big expectation that by the time we get to GE2015 many of those ex-CON voters now saying UKIP will, when push comes to shove, return to the blue fold. I buy into that. We see in weekly round of local by-elections that the purples are chalking up big vote shares in wards where they don’t impact on the outcome, notably though not exclusively, in LAB heartlands. Last Thursday, for instance, they achieved 28% in Sunderland. But looking at those local by elections which are being fiercely contested by two of the major parties and generally we see a different picture. UKIP gets nothing like the numbers seen elsewhere. So that while the above Ashcroft polling might show the situation now I think that come election day it could be different. The chart above is based on the finding new form of questioning which has just been tested by Opinium for its latest Observer poll. I find this an interesting approach which gives us a sense of the motivations of many electors. I’d have preferred it if the phrases “in your constituency” could have been included because as the Ashcroft marginals polling has found getting the sample to focus on what they are doing in their specific seats can change voting intentions. I’ve not looked at the details of which party people would be voting against because the sub-sample sizes are too small to come to meaningful conclusions. But the vast bulk of the tactical LAB votes are against the Tories. No surprise there. Martin Baxter, the City mathematician who has been running Electoral Calculus for nearly two decades, has put out his latest monthly projection and once again there is a decline in the projected LAB majority. Martin computes the figure by applying his own polling average to his Commons Seats calculator. Inevitably the decline in Labour’s polling position is reflected in the above numbers which now look a lot more precarious for Ed Miliband. Martin rates the chance of a CON majority at 10%. Unlike some other projections which seek to discount the LAB polling position by applying an adjustment to cover a fall-off Martin uses the polling numbers as they are. I think that that is right because much of the polling bias to LAB in the past was the product of polling methodology that has since been refined. After a whole spate of post-Budget polls showing the LAB share declining and the gap getting close today’s YouGov for the Sunday Times comes as something of a shock. Is it an outlier or are we seeing the Budget effect starting to fade away? That is always hard to say and all we can do is wait to see some more polling. The fieldwork for today’s poll was later than the latest Opinium or Populus polls which both had the LAB lead down to 1%. It is always dangerous to confuse correlation with causation and to read things into polling which on closer examination are not the case. The change in the LAB share here is outside the margin of error like in the Westminster voting numbers above. The Observer article can be found here. Although the fieldwork took place last month this only appeared on YouGov’s website yesterday. NOTE: I’m out this evening and will not be posting tonight surveys until later. As well as YouGov I’m expecting Opinium for the Observer which has some interesting tactical voting questions. The sample was asked if people were voting for a party or against one and, if so, which. 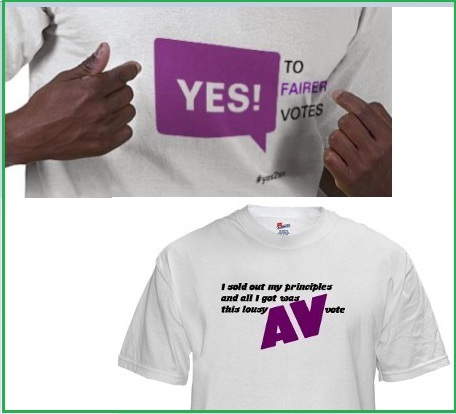 It is unusual for governments to schedule and highlight their splits in advance.Â However, three years ago, the Coalition launched into a bout of premeditated infighting from which it has never really recovered.Â It was entirely unnecessary on any number of levels.Â The event was of course the AV referendum. Why was it unnecessary?Â Because it was obvious that the result would prompt recrimination and bitterness on whichever was the losing side and that government cohesion would suffer as a result.Â The public werenâ€™t interested, the Lib Dems didnâ€™t really want AV anyway and the Tories have been lumped with an electoral system that is ever more disadvantageous for them (though as they campaigned to retain it, they can hardly complain about that).Â All sides would have been better off if the coalition deal-maker had been a sensibly elected Lords rather than the AV poll. Going back before that split, what made the current coalition possible was Cameronâ€™s big, open and comprehensive offer to the Lib Dems.Â In the event of another hung parliament, itâ€™s unlikely that Labour will be caught so unprepared again but they might well still be on the losing side if the Tories were to make a big enough offer â€“ and PR for the Commons is that offer. Why should the Tories execute such a U-turn and in the process deny themselves all probability of forming a single-party majority government again?Â Would not the long-term losses substantially outweigh the short-term gains?Â I donâ€™t believe they would. This parliament has seen the political landscape undergo the most dramatic transformation since the early 1980s, possibly since the 1930s.Â That alone means parties should re-evaluate their electoral strategies and how their policies need to be realigned accordingly to support their core principles.Â The two key events of that transformation both cause particular problems for the Conservatives (though one has a compensating balance), and one also causes problems for the legitimacy of the political system as a whole. When Margaret Thatcher dominated the 1980s, it was in no small part because of the Labour split, when a portion of social democrats defected to the SDP and via them to the Lib Dems, where they stayed until 2010, give or take temporary or tactical factors.Â While that tipped the overall balance in the country in favour of the Conservatives, it also shifted the Liberals to the left: the party that from the 1920s through to the 1970s had generally been closer to the Blues than the Reds changed and particularly under Ashdown, Kennedy and Campbell, became far closer to Labour.Â The formation of the coalition government nullified both effects of the SDP split as far as the electorate was concerned, though there remains a legacy of the Lib Demsâ€™ pre-2010 support base among activists and those elected to office due to the investments those people have made in their party and the greater barriers they have in defecting. At the other side of the equation, the Conservatives used to have their field to themselves.Â No longer.Â UKIP represents a serious threat to the Conservativesâ€™ prospects, less in their own right than in their capacity to split the right-of-centre vote against Labour or Lib Dem opposition. The Conservatives have for some time accepted that the lie of the political battlefield was against them: Blair was able to win a comfortable majority in 2005 with a lead of less than 3% but the Conservativesâ€™ 7% lead in 2010 produced only a hung parliament.Â Theyâ€™ve done so partly because FPTP still offers the chance of an outright win when PR makes that far more difficult and partly because there is a genuine belief that single-member constituencies are beneficial, and that the clarity and accountability that majority governments have (and which FPTP generally produced) is preferable to coalition. While the latter attraction remains the case, the former is much more contentious and to the extent that it is true, applies far more to Labourâ€™s benefit than the Conservatives.Â Thatâ€™s the tactical attraction to the Conservatives for advocating change â€“ as well as the emergence of potential allies in UKIP or the Lib Dems â€“ but the bigger question is one of legitimacy. Throughout the twentieth century, it was rare for any winning party to poll under 40% but the fragmentation of the system now makes that much more the norm.Â As that fragmentationâ€™s a consequence of very powerful structural factors stemming from how individuals engage with politics, thereâ€™s no reason to assume itâ€™s likely to halt, never mind reverse.Â Parties have finished on top in the last two elections with only about 35%.Â The rise of a fourth major national party and an increasing preference to vote â€˜againstâ€™ something rather than for a candidate means itâ€™s entirely possible that parties could regularly win in the future with less than a third of the votes cast, or with the support of less than a fifth of those entitled to vote.Â That has to raise questions of legitimacy; ones that only PR really has the power to answer. Would such a proposal cause an almighty row in the Tory party?Â Probably.Â Some MPs would oppose it for both personal and political reasons.Â They would be afraid for their own future and naturally cautious of such a big change.Â (That said, if theyâ€™re doing a good job then a decent system of PR â€“ open lists in constituencies of about eight members would be my preference â€“ shouldnâ€™t be a threat to them).Â It might even provoke a leadership challenge.Â On the other hand, Cameron got where he is today by seizing his opportunity and the Conservatives have remained one of the two big parties for more than 200 years by successfully adapting to changed circumstances.Â As with when Derby and Disraeli trumped the Liberalsâ€™ reform proposals in the 1860s having previously voted down lesser change, the time has come for Dave to be audacious, leapfrog earlier opposition to AV and include introducing PR for the Commons in the 2015 Tory manifesto.